Read for the Sword & Laser Podcast Feb 2019 selection. Told in first person, this tells the story of Elma York. 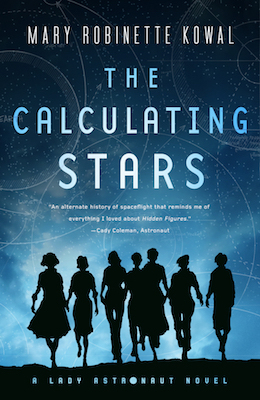 She was a WASP pilot during WW2 and mathematician who earns her a place in the International Aerospace Coalition’s attempts to put man on the moon. Set in an alternative timeline from 1952-1959 with slightly alternative technology. Mostly it takes place before electronic calculators and computers are used. At 121K words it is long and would have benefited from a good edit to bring it to under 100K. Too much of the story is taken up with domestic and political issues rather than the story of space flight. 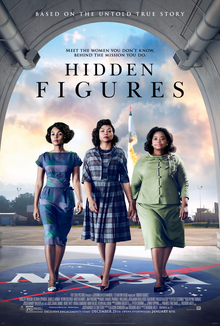 It looks like the novel is capitalizing on the success of the film “Hidden Figures” (especially in the cover design). But as Mary explains at the end, the book was written before the film. It does cover similar grounds, woman competing against men and black women being under-appreciated, etc. In fact you would get more out of the 2 hour film than this book that took me over 7 hours to complete.